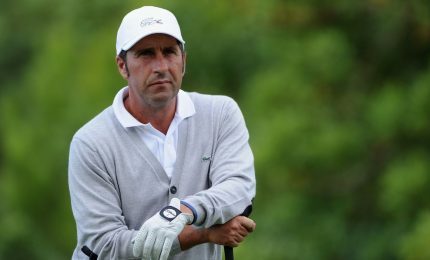 Jose Maria Olazabal Manterola was born in Hondarribia on 5 February 1966 and is a renowned Basque golfer. As an amateur player he won the prestigious British Amateur Championship in 1984. His professional track record includes two “green jackets” for winning the Masters in Augusta in 1994 and 1999. Moreover, he participated in the Ryder Cup on seven occasions winning four of them with the European team in 1987, 1989, 1997 and 2006 and formed, together with Severiano Ballesteros, the most successful Ryder partnership in the history of this tournament. He was the European Captain in the 2012 Ryder Cup, where his team won after a historic comeback. He dedicated this victory to his former mate Ballesteros, the great inspirer of the European team. Due to his merits in this track record and the respect gained among his colleagues, he became a member of the World Golf Hall of Fame in 2009. In 2013 he received the Prince of Asturias Award for Sports.